The holidays are right around the corner and we know how stressful they can be. So let us help by baking your holiday pies! This month we're featuring Chocolate Crème for just $8.49. Or choose from Lemon Meringue, Oreo Crème, Apple, and many more. * All of our pies are baked fresh daily! 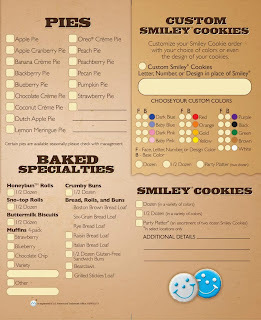 Call ahead and order YOUR favorite pies, and we'll have them ready when you are.